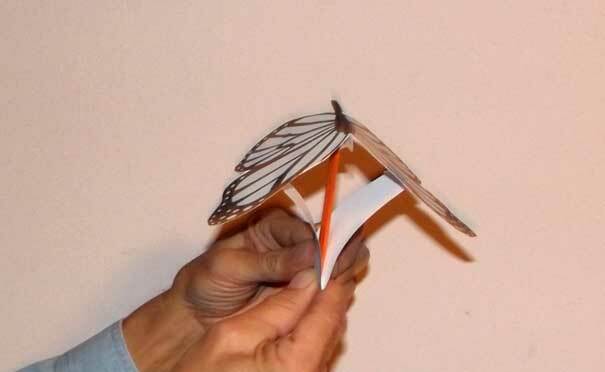 To make your very own Flapping Butterfly, all you need is: an 8.5 inch by 11 inch sheet of card stock; scissors, a craft stick, crayons or markers, and tape or glue. STEP 1: Choose a Butterfly Pattern by clicking here. STEP 2: Cut out and color the pattern pieces. 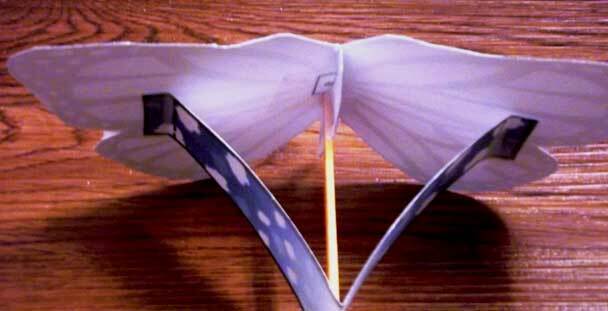 STEP 3: Tape tabs A and B to underside of the wings (see Butterfly Pattern). 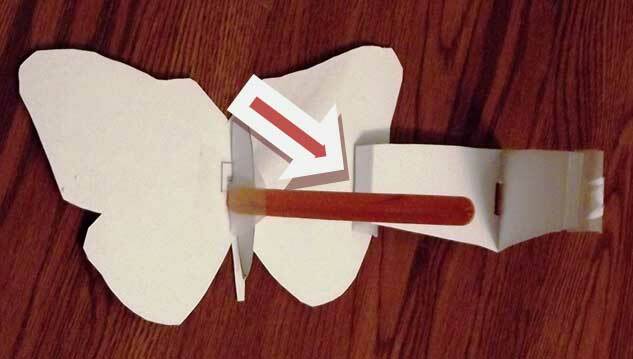 STEP 4: Tape end of craft stick to center of the abdomen (see Butterfly Pattern). STEP 5: Tape one end of cloud pattern section to edge of wing (see Butterfly Pattern). STEP 6: Place cut out slot in cloud pattern section over craft stick and tape the ends of the cloud pattern to the underside of the wings. 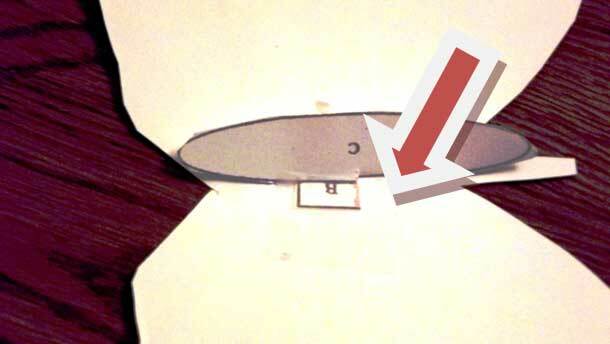 STEP 7: Once taped properly the underside should look like this. STEP 8: While holding cloud pattern section with one hand pull down on the craft stick with the other hand to make the wings flap upwards. 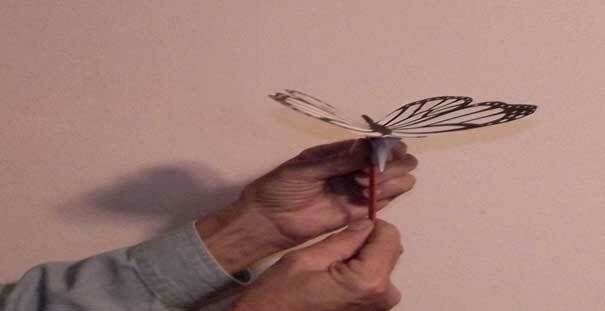 STEP 9: Push up on craft stick to make the wings flap downwards.